Anna completed an internship at the Savannah, Georgia startup engine Creative Coast. Upon her return to Hungary, she co-founded the Millennial Women Network, whose mission is to empower young women to become leaders of the future. "During my year in the United States I gained invaluable leadership skills and built long-lasting transatlantic relationships. Today, I'm still in touch with many people I met in the US - my host, my co-workers, members of the community and my friends. These relationships mean a continuous inspiration for me to grow and make an impact in Hungary. "I always wanted to create a non-profit organization that could help raise living standards in Hungary. During my internship in the United States, I realized that creating a thriving entrepreneurial ecosystem could be the key to reach this goal." Business Development Manager for a global business education company. She also continues to run the Millennial Women Network with her co-founder, Nora Sarkady. They have created a global online community and share inspiring stories of successful young women from around the world. 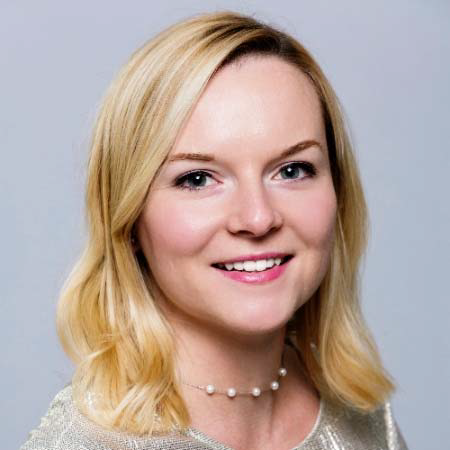 Anna also designed the highly successful 6/20 Chili Nights program in Budapest, helping entrepreneurs create new professional connections and get real-time feedback on their businesses.